Unified Communications has been responsible for a wide paradigm shift, with UCaaS more specifically pushing organizations straight into the digital realm. At this point, the UCaaS market has seemingly matured into a compelling collection of competitive options. But, that of course doesn’t mean the evolution has been without its growing pains. As UC gains new use-cases, new technologies and transitions to even newer paradigms, new challenges will continue to pop up as organizations move to adopt and adapt to the latest advancements. These challenges will mostly be born out of the latest trends coming across the industry, for example with the current focus being placed on Artificial Intelligence. More specifically, as we move further in 2019, we will begin to see a number of trends and related challenges pop-up as our current digital climate continues to shift. Solutions are quickly becoming more and more powerful, but consumers are equally growing more demanding. Where Did UCaaS End 2018? Unified Communications is of course still moving strong, without any real signs of slowing down. We might be beginning to notice a new shift emerging in priorities, like a focus being placed on integrated Contact Center solutions, but we are truly beginning to see an age of Unified Communications in actuality. The idea is one I have discussed time and time again, and has branched from my 2016 conversation with Vonage’s CEO Alan Masarek. 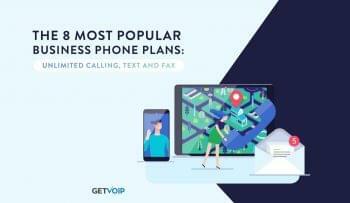 I know I’m really beating a dead horse at this point, but the idea is finally coming to life, with providers like Vonage and Nextiva working towards this goal of an interconnected platform, bridging the islands of communication internally and externally. I think it is also important to take a look at the latest and greatest acquisitions, primary those we highlighted for 2018. By understanding the potential strategy shifts these providers and vendors are looking to make, we can gain a stronger sense of how the market is beginning to evolve. When attempting to discuss the latest trends, there tends to be a bit of an echo effect. It is fairly common to see the same trends repeated not only on list after list, but even year after year. Of course, this does make some sense in actuality, and just look at Gartner’s Hype Cycle for a better breakdown of that. But in essence, the media and developers hype up new solutions and new technologies, making fairly large promises that never totally seem to deliver. Right now we are seeing an influx of AI, and I too have begun discussing the topic quite a bit, but sometimes it is important to take a step back and understand the limitations. Therefore, when attempting to have a conversation on the latest trends within the industry, I like to look towards more practical evidence — what is actually happening? Who is shifting where, what acquisitions are underway, and what kind of technologies are vendors focusing on? There is currently a consolidation of players, particularly with large legacy vendors, occurring within the last few years. In particular, we are seeing large, legacy players grabbing smaller industry veterans. For example, Cisco and Broadsoft from 2017. Another interesting, and more recent move, was LogMeIn snatching up Jive, since we have a player with a strong focus on the collaboration and video side — one that is well known in the industry even, if not as large as someone like Cisco — branching out and scooping up another well known provider to enter into UCaaS, with the potential to merge these platforms and solutions. A strong focus is being placed on Customer Engagement and Interactions. Again, while not an incredibly new trend, we are beginning to see the real world results come to fruition. Vendors are focusing on building out tools that improve the way organizations can respond to requests and inquiries from clients. Platforms are growing to empower internal collaboration, which we can see with the marriage of platforms — look at acquisitions like Twilio and Ytica, or Vonage and NewVoiceMedia. And I think this is where we will begin to see some new challenges rear their head, within this market and platform consolidation. The concept behind merging solutions and platforms is a noble one, and the right direction to go, but it will require a continued shift in paradigms for organizations to truly leverage these platforms. I think it is also important to note how the consumer’s demand is powerful enough to dictate shift focus and priorities, as well. We saw just a little while ago the power being placed behind the Customer Experience, and overall customer expectations, like with inContact’s Customer Experience Transformation Benchmark, we are still seeing these shock waves from this paradigm shift. As organizations move to meet customer demand and place that higher priority on the overall experience, platform developers are moving to create solutions that enable these organizations to provide the best experience they can; through that use of integrated communications, and even some modern AI use-cases. Of course we don’t exactly have a crystal ball here, we can’t peek into the future to really see what is going to happen. But based on the evidence we have in front of us, we can attempt to make some solid predictions. Based on our two previous observations, these are what we feel might be the biggest challenges for UCaaS to overcome in 2019. I’m going to bang this drum again, but I think it is really critical we get this right. Artificial Intelligence is quickly making its way into our real world solutions, there’s no doubt about that. We’re seeing it put into practical use in numerous platforms already, even on more accessible solutions like Dialpad’s — so it’s not just for the Enterprise players. But we need to understand hype, and understand that this large focus shouldn’t be an “eggs in one basket” scenario. Natural Language Processing, Sentiment Analysis and other conversational AI is of course a strong priority for the customer-focused organization, and can even be utilized for internal chatbots or helpbots to assist everyday teams. I think Vonage’s Vee is an interesting example of this, but we also need to recognize the limitations. These will reflect the same challenges as chatbots for the consumer. The continued issue will be finding real world, practical uses for AI that move beyond a onetime use, or a gimmick. We need actually helpful AI that revolutionizes the way we can work and effectively collaborate. So, it will be interesting to see if the brakes can be hit on the hype train slightly, or if there can be some actual true delivery of solid AI in the near future. I particularly would be interested to see if and how the conversation on AI might shift as well, to hopefully recognize limitations and properly address this. The hype balloon can end with some costly mistakes, I think VR is an interesting solution that kind of points out this lack of delivery. With a massive projection for a giant industry, we are barely beginning to see true use cases, with those in the business just taking hold. Will AI be next? As a direct response to some of the very large moves being made in the past few years, it seems there could be a bit of a rift developing in the market. Larger, former legacy providers are shifting to the cloud, and fast. We’re noticing a large presence of Enterprise communications making their way into the digital first UCaaS market, away from the traditional on-prem UC solutions of the past. 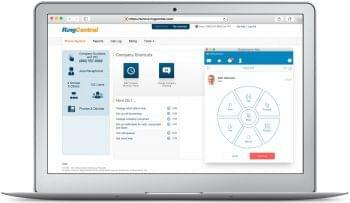 We’ve seen large names like Cisco shift away from collaboration as they purchased Broadsoft for a complete UCaaS solution, and we’ve even seen interesting plays like LogMeIn grabbing Jive to create a complete UCaaS platform. Avaya and Mitel have also gone headfirst into a UCaaS world with their own platforms and solutions. With the spending power of these larger players looking to take control of the UCaaS stream, we’re going to see a need for smaller vendors to stay competitive. Now providers, like Nextiva, generally have a few cards up their sleeves. But while smaller providers can be more agile to adopt new paradigms or priority shifts, a lack of resources can of course be a limiting factor in the ability to execute and deliver on time. I do want to point out again that this doesn’t mean small providers are going to be crushed, again Dialpad is even leveraging AI, with minimal change to the very affordable Dialpad pricing plans. There is just a potential for some providers to have to play catch up, without the resources to necessarily keep up. It will also be interesting to see how providers with a more hyper focus on their solutions will work to compete with UCaaS providers that are now building out these completely integrated and unified platforms. For example, why subscribe to a standalone Call Tracking or Call Recording Software solution if Nextiva’s platform contains all that already? A very interesting paradigm shift we have seen within UCaaS is the move to what I would like refer to as actual unified communications. Providers like Nextiva are shifting to offer these complete platforms that can do it all, from your communications to your organization’s data to CRM to workforce management and more. These platforms are enabling organizations to bring everything they need to work and collaborate effectively from one vendor located under the same roof. But at the same time, I think this will present a unique issue. A lot of organizations are comfortable splitting their solutions, and integrations have done a great job of enabling users to connect independent tools together. A lot of organizations and users might also be very happy with the solution portfolio they have built for themselves. As vendors and providers look to integrate their platforms, organizations and end-users will need to make a decision: should I abandon my current process that is working for this new seamless platform, or do I keep my mix and match solution? There will be an interesting trade off that develops here: is it worth the consistency of one solid platform, or is it better to use the tools you know you need and work? Switching over to a new platform brings in the problem and issue of now having to train users, ensuring all the functionalities are as you want them, and ensuring the platform is capable. Sometimes you might even have to spend more capital on solutions you don’t need just to gain one aspect of the platform. It will be an interesting problem for organizations and end-users to have to navigate, and interesting to see how vendors might address this. I’m again slightly echoing a similar challenge with chatbots, but I feel this is fairly critical and plays a slightly different role when it comes to UCaaS. Organizations can and should routinely be collecting and utilizing data to improve overall processes and solutions. This is particularly strong in organizations with an external presence and focus, as interacting with clients brings in a large amount of data. But it’s almost at a point where we are swimming in data, unsure of what to do with it, and leaving ourselves open to the potential for very negative consequences. We need to treat data with much greater care, and recognize the double-edged blade that comes along with data collection. Collecting the right data can provide organizations with these deep insights, but over collecting data can create an overwhelming amount of information and a security nightmare. UC needs to focus in on exactly what data is worth collecting, what data can properly be leveraged, and how to best leverage that data. AI is already making its way into some really powerful analytical tools, and this is great — but we need not get carried away. As mentioned, GDPR already exists and is more than likely going to be replicated in some fashion in the United States sometime soon, we even have Tim Cook calling on the FTC for it. Organizations will then need to deal with a massive overhaul to data collection, storage, management and usage to properly comply with new regulations. Like it or not, if and when this happens, this will be a massive issue even for UCaaS platforms that are already collecting and analyzing data. It’s better to be prepared and ready to make changes then have to deal with repercussions. While almost a good challenge to have, it will be very interesting to see how these new UC platforms will continue to grow, and in particular, how they will grow to effectively manage the bridging of internal and external communications. As I mentioned before, I’m not the only one that thinks this will play a very large role in UCaaS and Collaboration in the near future, as if it isn’t already. Vonage CEO Alan Masarek back in 2016 was discussing the concept of marrying together internal and external communications and interactions. We need to see organizations beginning to leverage these tools, but also vendors that will properly develop the tools necessary to facilitate these forms of interactions. The keyword here, like with chatbots, is context. We need to enable agents and representatives to best leverage context. 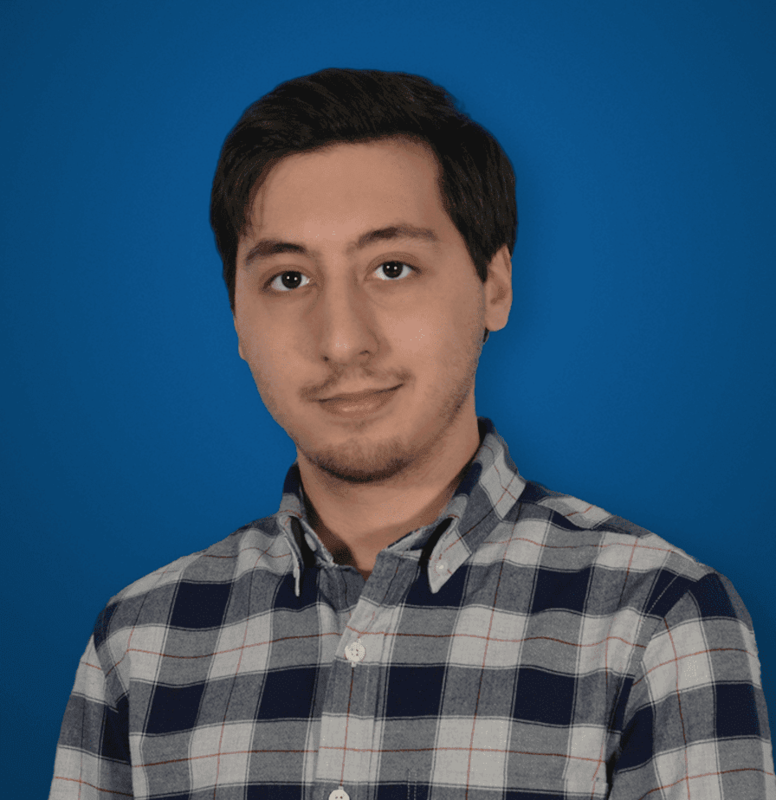 Alan is right, it makes no sense to keep these tools separate, and over vendors are beginning to realize this: I think this is evident with the recent rush to enter into the CPaaS market. 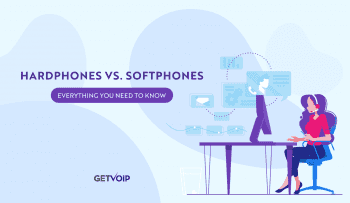 But UCaaS developers will have the issue of now properly developing these bridges, and connecting tools in the right way — just like organizations will need to determine the most effective way to bridge these communications. Of course, we can’t determine exactly for sure what will happen in the next few years. I think it is particularly interesting to see trends repeated throughout the years, and indication of not only a slow speed to realize true adoption, but also the slow pace of true development. Hype plays a big role in moving priorities and capital investments around, but we shouldn’t be so quick to rush into unproven territory. It seems that this new focus on a new paradigm of smart and connect platforms will introduce not only new capabilities, but new challenges that organizations must work to overcome and adapt to. I think it is particularly interesting that we now have this Standlone vs Integrated platform issue arising, with organizations now having to add in an entirely new factor to their decision making. UCaaS is of course pushing our level of collaboration and effectiveness to new levels, and has been for years. By enabling organizations of any size to truly gain the flexibility and capabilities they need to react and adapt on demand has proven to transform the way we work. But we also need to keep a steady pace, and understand what challenges may arise, and how they can be addressed. We really shouldn’t count our eggs before they hatch, and while Artificial Intelligence has some clear indications of truly being the next big thing, it is always important to slow down and take a good look to fully understand realistic capabilities and form realistic expectations. It will also be particularly interesting to see how these most recent acquisitions and strategy shifts will play out, with a large number of newcomers into UCaaS, and some really big names behind them.